So, a big congrats to David and Randal! Provides nonprofits with a comprehensive playbook on how to create a new, more flexible, innovative organization. 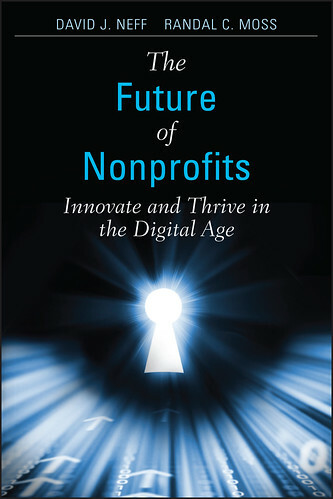 Provides nonprofits a look at the future of fundraising and communications trends into 2016. Case studies highlight successes and failures. Highlights the power and strength of Social Media. 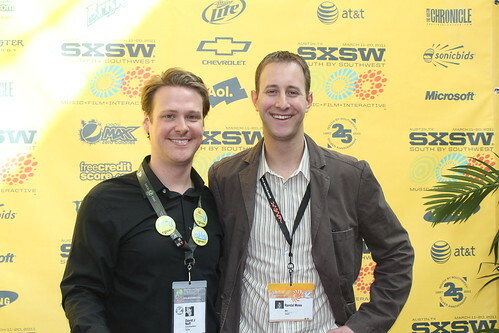 Hightlights how to hire, train, manage and inspire “internal entrepreneurial” employees. Features actionable advice on creating an organization that is primed to grow and thrive in the immediate and long-term future. In the pre-launch at SXSW, they shared a wonderful graphic novel that outlines the themes of the book. It reminded me of Miriam Engelberg’s nonprofit comic books from several years ago and published by Compasspoint. Miriam was a brilliant cartoon artist and did the daily 501-c3 planet comics on the Compasspoint site. (Sadly, we lost Miriam to breast cancer in 2006, but she chronicled her fight in this graphic novel– and NTEN raised some scholarship money in her name). It think she would have been happy to see another nonprofit graphic novel! What are you waiting for? Go order your copy now on Amazon. Hi Beth, sounds very interesting, thanks for sharing! Really a shame that the book is not available yet in Europe, have to be patient I guess ;-))..
You mean more to this nonprofit community that you will ever know. I along with hundreds of people have learned so much from you over the year. More than you will ever even know. : ) Thanks so much for your great words about our book and your endorsement. David: Thanks for your kind words! Good luck with promoting your book. It’s a hard journey, but something tells me that you’ll enjoy it. I’m headed back into heads-down book writing mode – just signed a contract for book 2 on measurement and making data driven decisions for social change. My co-author is KD Paine! I’m looking forward to getting back into a regular thinking and writing routine soon. If you get a chance, check out the planet 501c3 comics – they were really funny. It’s great that your book is contributing to this genre! Beth, this is amazing. Thank you so much for the book review. Indeed it was a transformational journey to get to the final product but it was worth it. We know that the ideas we put into the final product will make an impact on every organization that takes the time to buy a copy and read it. Sounds well worth it and much-needed for the non-profit community! So many books out there and I only have a limited amount of time to read….appreciate the book review…and can hardly wait to get my hands on it!! Thanks for the nice comments! Let us know how we can help and enjoy the book!